Glasses, the real leap forward is the ease of use and the ability to aggregate eye tracking data which enables you to conduct quantitative eye tracking studies which is really unique for a wearable eye tracker. To be able to do this Tobii has developed a new technology called AOA-Track with small markers that emits infrared light. 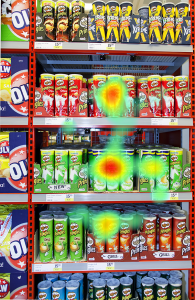 By placing these IR-markers around objects and/or areas you want to study in depth, Tobii Glasses automatically knows when a person is looking within these areas and will automatically aggregate the data from all the participants in an eye tracking study. This is truly amazing! Previously when doing this kind of research it has required a lot of manual coding work to be able to do this, now it all happens automatically and you are able to use the analysis software Tobii Studio to analyze the data just as if it was recorded with a stationary eye tracker. In other words you can create visualizations like heat maps and gaze plots, calculate statistics etc automatically with data from a Tobii Glasses recording. The device also includes a microphone and of course a camera filming everything the participant is looking at so it can also be used for qualitative studies (you just watch the recording as a video with the gaze point overlaid) and might even enable new research methodologies, what do you say about “Concurrent Think Aloud Walking” in usability research for example! 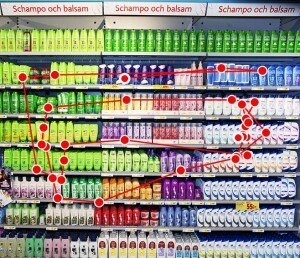 These are some examples from Tobii Glasses recordings Tobii did in a Supermarket. 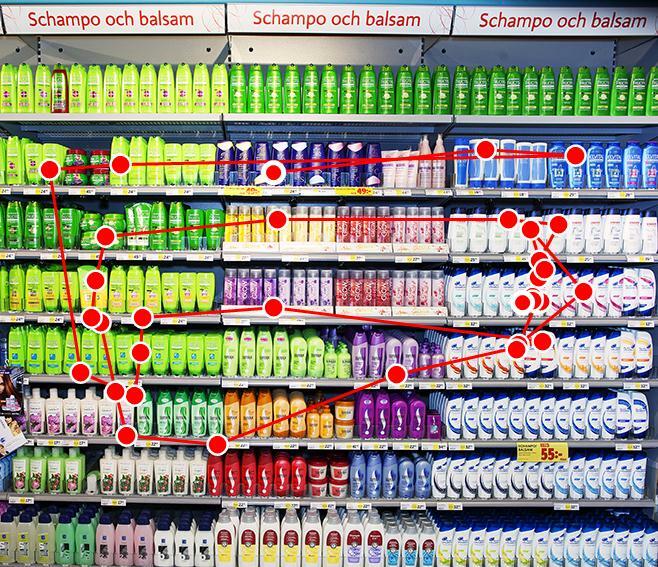 This is a Gaze Plot showing how a person is searching for a product on the shampoo shelf. IR-markers have been placed on the shelf to enable us to collect the data. 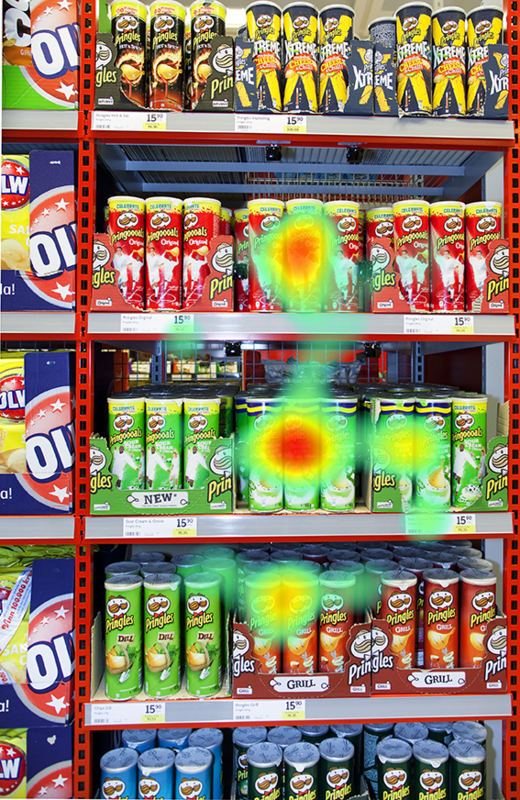 This is another shelf, the heat map shows the aggregated data from 30 recordings and reveals where people look when deciding which product to buy. IR-markers have been placed on the shelf (try to find them!) to enable us to aggregate the data and make this heat map. This entry was posted in Uncategorized and tagged Eye Tracking, glasses, Tobii by Objective Experience. Bookmark the permalink.